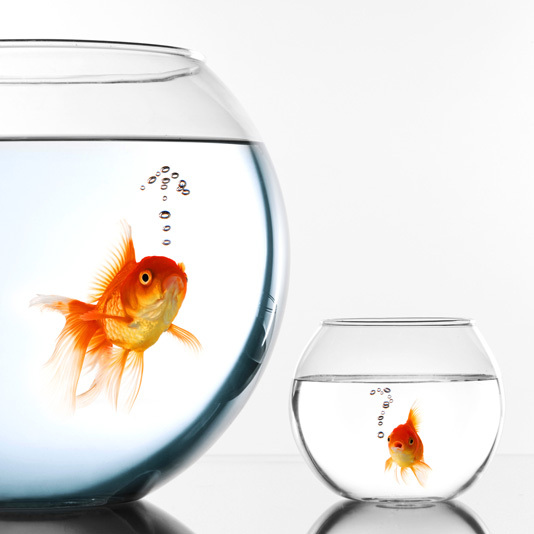 We are making the mysterious world of SEO completely transparent. Introducing a completely new concept in SEO. With over 30 years of combined experience in online publishing, the founders of Rank Envy are taking the very same tools they use to help their successful clients, and making them available to small businesses everywhere. 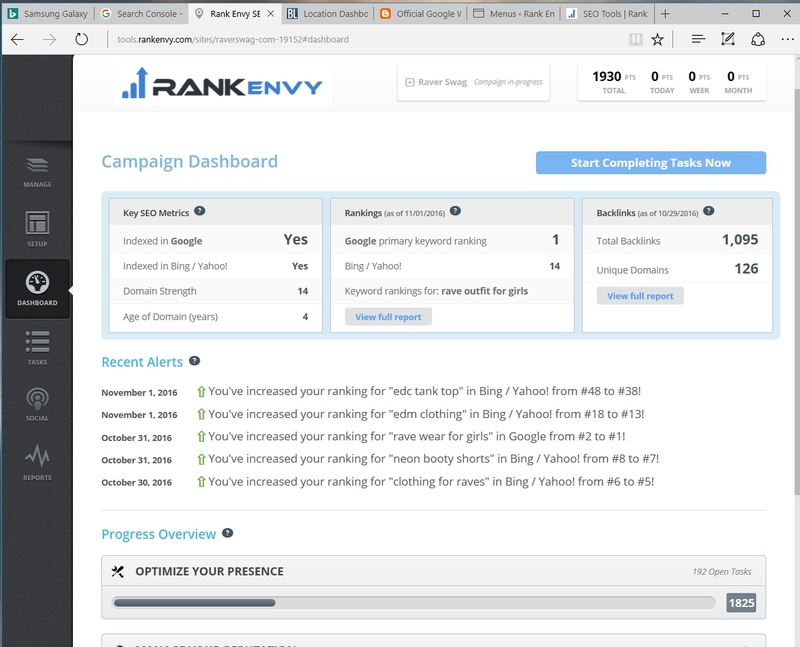 The Rank Envy toolkit is a complete hold-your-hand guide for enterprising business owners who want to do their own SEO. 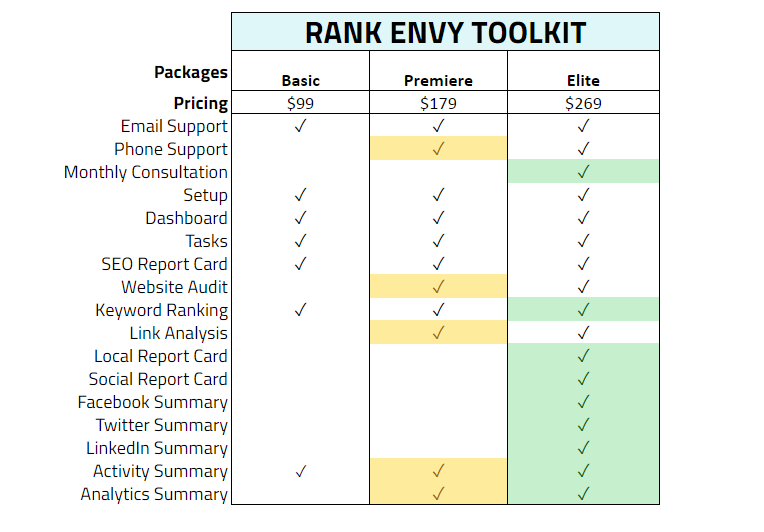 The Rank Envy Toolkit is a comprehensive step-by-step system, using all the latest techniques and analytics. Our online tools cover everything from guides to optimize your website, to link building, to brand management. It tracks your competitors, and shows you where they are getting their links. It even helps to manage your social media. You can log in to your customized toolkit from anywhere, at any time, and continue to improve your search results. It even tracks your progress, saves the tasks you’ve completed, and gives daily reports on how your website is doing for the keywords you are tracking. Your personalized toolkit also evolves. The internet changes every day, and Google changes how they rank sites all the time. As we make changes to the toolkit we use for our clients, you get access to all those changes as well. Every time we add a new link source, or delete an old one, your toolkit is updated live. 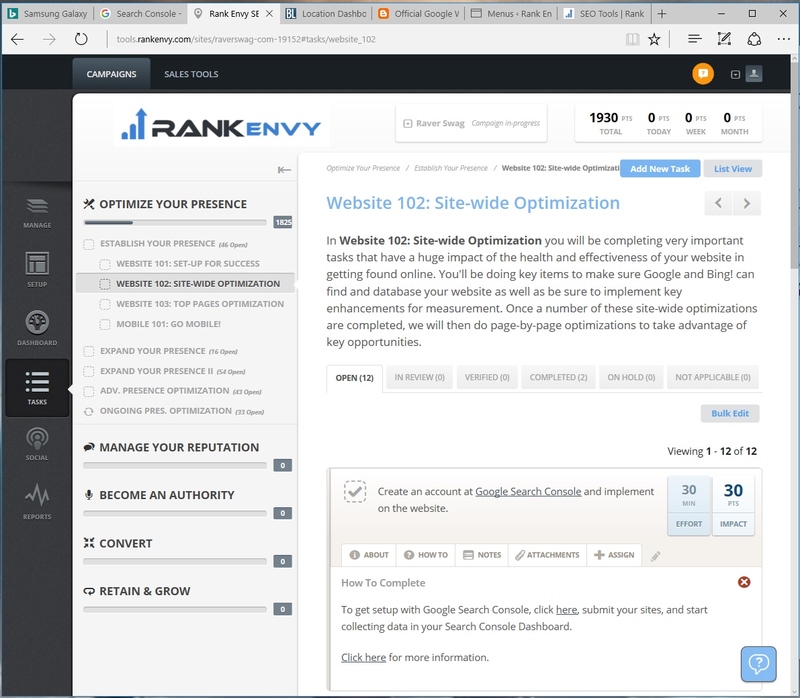 Every time we create a new website optimization technique to use for our clients, your toolkit gets that exact same information, immediately. 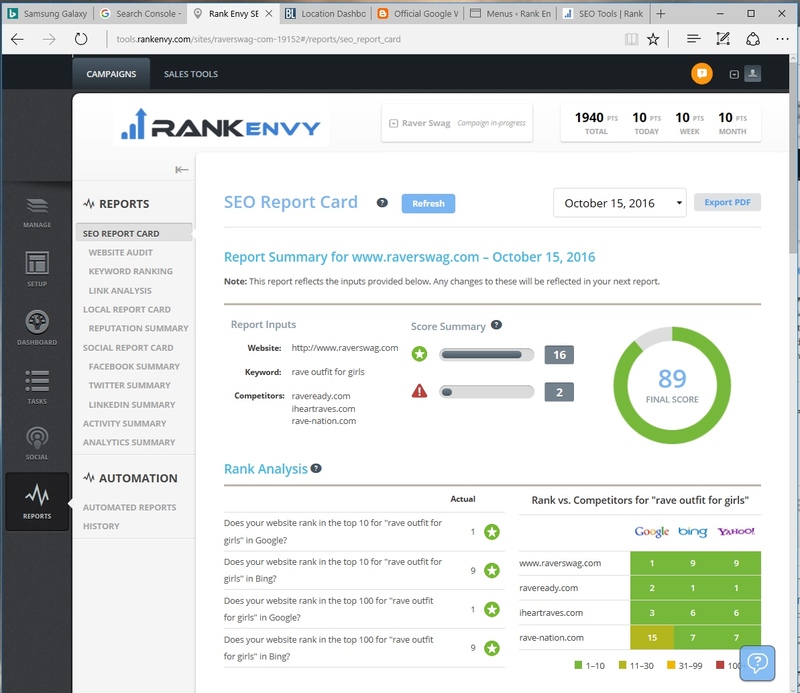 Because Rank Envy is also a full service SEO company, we are also pleased to offer personalized tech support, either a-la-carte, or tied to your subscription level. Some of the techniques and procedures in the toolkit are highly technical and may not be within your skillset, and we are happy to have our experts complete those parts for you. However, because we are so confident in our product, we even allow our clients to outsource the technical work to any person or company they like. With a little work on your part, or one of your employees, your small business can benefit from the exact same SEO that large companies pay thousands of dollars a month for. We’re the only company that dares to pull aside the curtain. We’re like Penn and Teller, exposing secrets, and showing you exactly how the trick is done, so you can easily learn to do it yourself.